Origin The plant is widely spread in United States and Canada. Lady’s Slipper commonly known as Cypripedium parviflorum, is found all over Canada and United States from Alaska to Georgia. 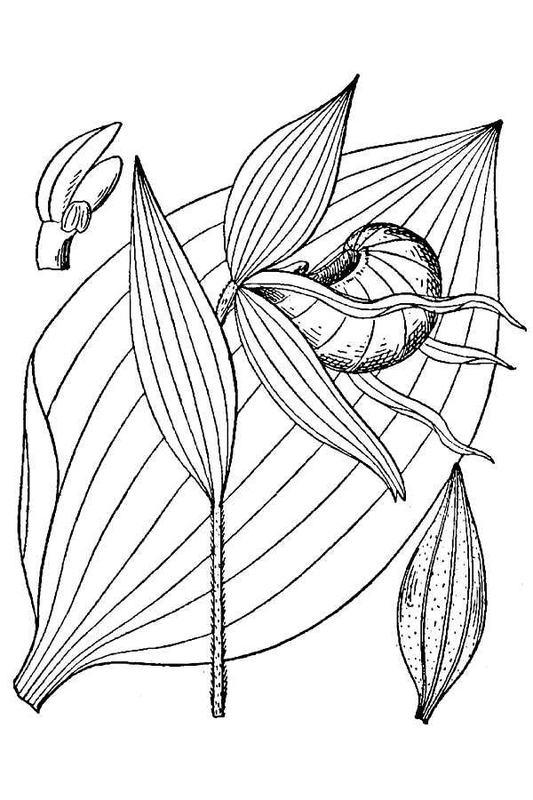 It could be known from other several names such as Species Orchid, Cypripedium, Newfoundland Lady’s Slipper, Yellow lady’s slipper, Hairy yellow ladyslipper, Moccasin flower, Lady slipper, Slipper Orchid, American Valerian, Cypripède Acaule, Bleeding Heart, Cypripède Rose, Monkey Flower, Sabot de Vénus, Noah’s Ark, Sabot de la Vierge, Slipper Root, Shoe, Yellows and Venus’ Shoe. A flower is large with pale to dark yellow pouch like labellum with reddish spots on an interior. It has green or yellowish petals or sepals which is spiral twisting outwards. It could be found in dry to mesic forests, fens, woodlands, meadows and prairies. 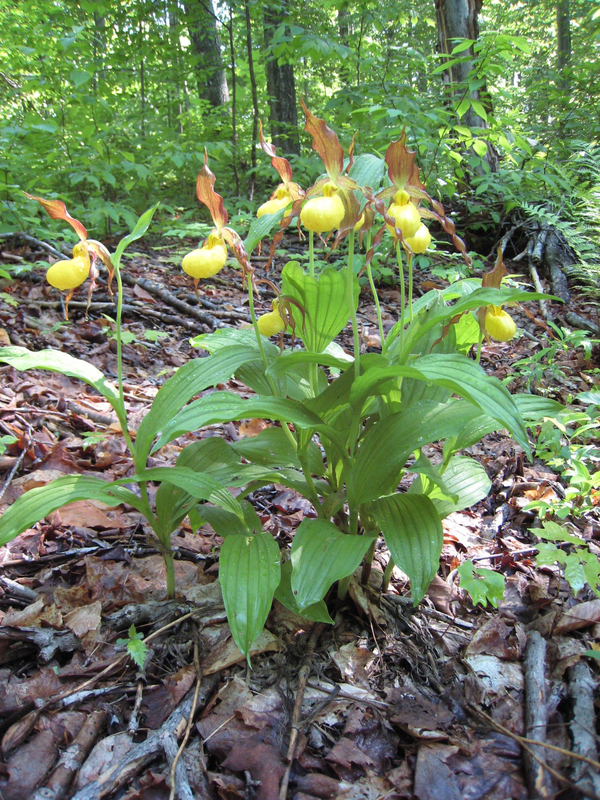 Lady’s Slipper is available in mountain meadows, mixed conifer, mesic places, non-sphagnum bogs, aspen forest communities, wet prairies, marshes, rocky wooded hillsides and mixed woodland related with ash, oak and hazelnut woodlands. 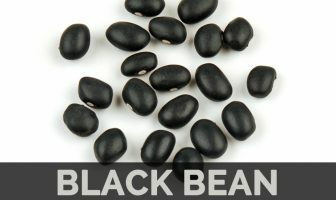 It prefers moderate moist to dry substrates and confined to predominantly calcareous stony soils which is rich in humus with neutral, basic to acidic pH soil. Lady’s slipper was originated from Blue Ridge Mountains of Virginia. Its habitat includes sandy woodlands, savannas, moist to dry deciduous woodlands, wooded slopes, thinly wooded bluffs along rivers and forested bogs. 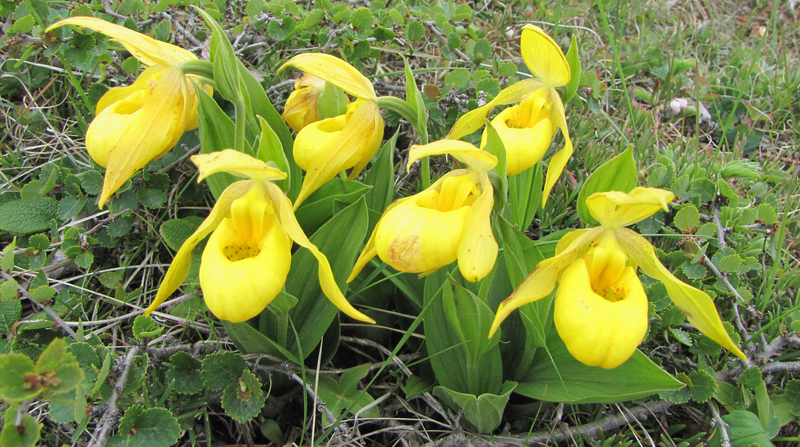 Cypripedium parviflorum is a perennial orchid which grows about is 1to 2½ feet tall. It has round central stem which is circumference, densely covered with hair and is stout. The stem produces three or more alternate leaves measuring 4 inch across and 6 inch long. Leaves are pubescent, oval-ovate to ovate and have smooth margins. It has parallel veins on the upper surface of leaf. 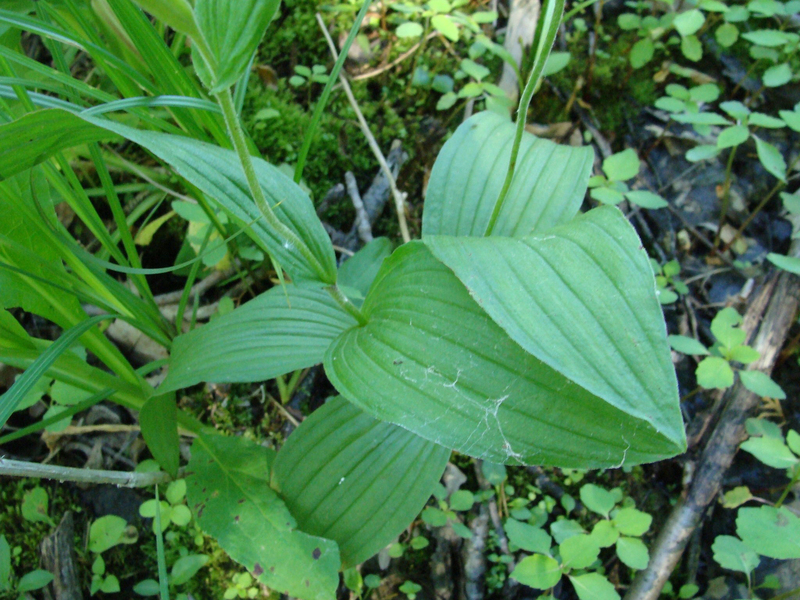 The plant possesses dark green to yellowish green foliage. The central stem held 1 to 2 flowers on the above of foliage on a long stalk. The lower petal has the shape of slipper or pouch with an opening on top. It is shiny, bright yellow and 1½ to 2 inch long. There are reddish brown dots within an interior of petal. Two narrow lateral petals are 2 to 3½ inch long and more or less twisted. The color of these petals ranges from greenish yellow to brownish purple with fine veins running from their bases to tips. Sepals have upper hood and lower hood and are broader and also shorter than lateral petals. The plant blooms from late spring to early summer which lasts for 3 weeks. It has fleshy and fibrous roots. 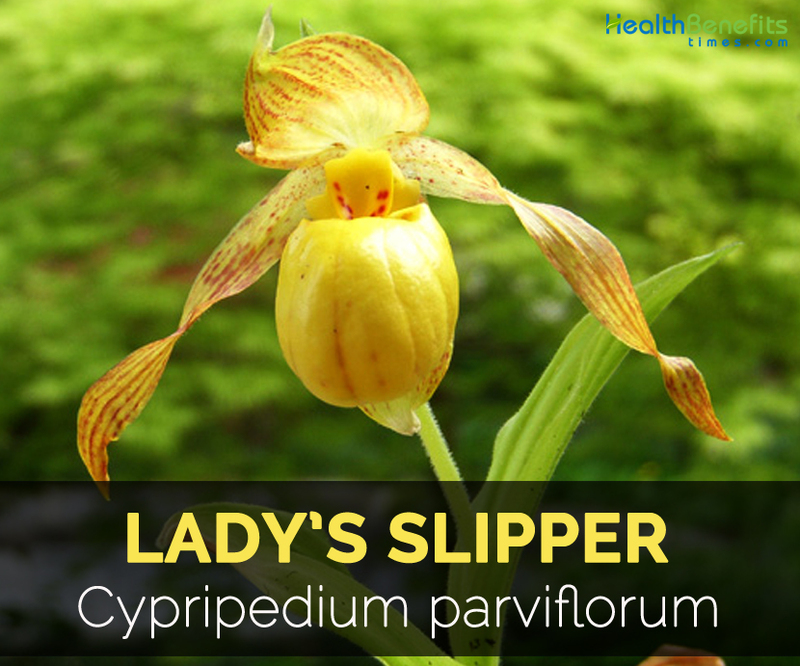 Lady’s slipper is used to treat insomnia, emotional tension, hysteria and anxiety. Use it internally for treating nervous tension, anxiety, depression, insomnia and tension headaches. It is useful for insomnia, anxiety and depression. North American Indians use it as antispasmodic and sedative in order to ease labour and menstrual pains. It helps to lower hyperactivity in children. Being a mild sedative, it eases restlessness and chronic insomnia. It provides relief from muscle spasms, cramps and twitches. The herb is used to provide relief from neuralgia and Bell’s Palsy. As it is a diaphoretic, it increases perspiration by cooling body and also eases intermittent fevers. 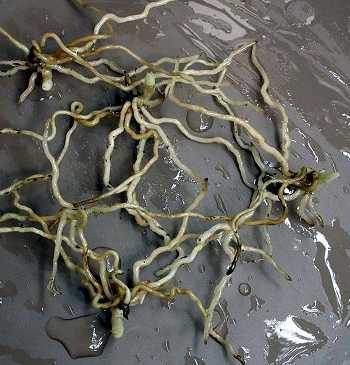 Roots might cause psychedelic reactions. Excessive use causes restlessness, giddiness, mental excitement, headache and visual hallucinations. It might be allergenic and contact dermatitis is observed. Not recommended for lactation and pregnant women. As stem is covered with hairs, it causes blisters. Consult the health practitioner before use. Native The plant is widely spread in United States and Canada. It could also be found in Alaska, Newfoundland, Northern Idaho, Louisiana, Eastern North Dakota, Georgia and Rocky mountains of Wyoming, Texas and New Mexico. 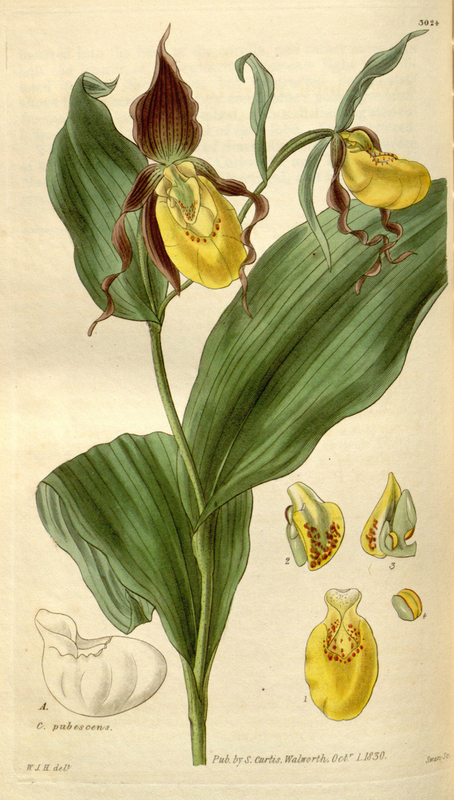 Cypripedium bulbosum var. parviflorum (Salisb.) Farw. Cypripedium hirsutum var. parviflorum (Salisb.) Nieuwl.